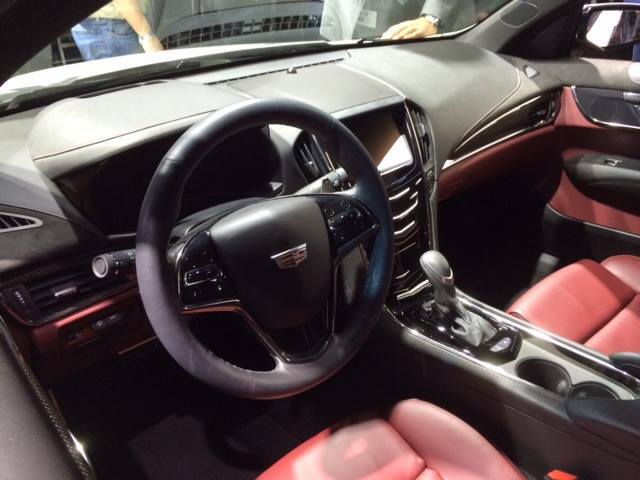 Photo inside one of the revamped cars at NAIAS. Photo courtesy of the event’s official Facebook page. The North American automotive industry has seen its ups and downs. While 2013 was a fantastic year for the big names (15.6 million new passenger cars and light trucks were sold in the U.S. alone), it’s also important to remember we’re only four years removed from the troubles of 2009—but there’s plenty of hope ahead. As always, the NAIAS is the place major automakers release their latest and greatest models. This year’s crop included the aluminum bodied Ford F-15, the 2014 “Car of the Year” Chevrolet Stingray, and Honda’s Fit. One brand swept the car and truck of the year awards: Chevrolet’s 2014 Corvette Stingray and Silverado took to the awards for car and truck respectively. Concept cars are always a popular part of any NAIAS. This year the most talked about seems to be the Toyota’s FT-1. While tech specs for the FT-1 were not released, Toyota did offer a virtual version of the car for video game players. This year’s NAIAS was filled with of transportation tech—from established companies and startups, which this includes smart phone-enabled controls, additional cameras, and more. What was once just a dream is now coming closer to reality, with a nod to Toyota’s hydrogen fuel technology in the concept FCV. Want more on NAIAS? Follow us on Twitter for the latest updates on innovation from the show and what’s new in the automotive industry. This entry was posted in Automotive Industry and tagged Detroit Auto Show new cars, how North American International Auto Show 2014 impacts Canadian automotive industry, New cars from North American International Auto Show 2014, what happened at the detroit auto show. Bookmark the permalink.